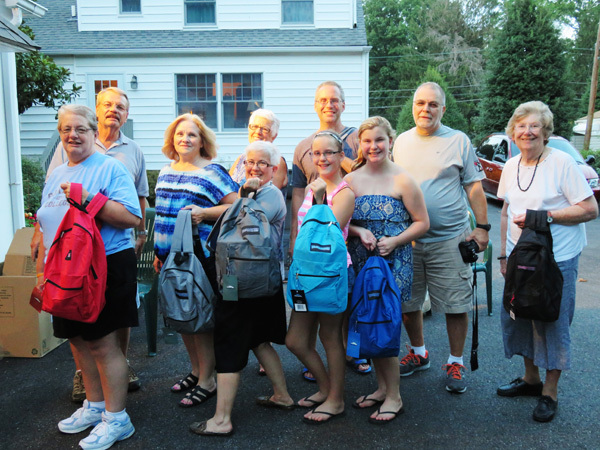 Grace Lutheran Church in Broomall, Pa. joined Fifteen Lutheran Churches of Delaware County with support for Thrivent Financial to provide 150 filled backpacks for elementary and middle/high school students. These will be distributed by Chester Eastside Inc. and Upper Darby Community Outreach Corp. After-School BLAST Program. The churches collected the supplies over the summer. The backpacks filled by volunteers from the local churches and members of the Thrivent board of directors.